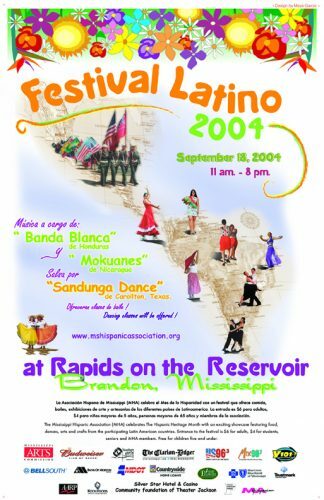 Unfortunately, with the closing of Rapids on the Reservoir, the MHA has not been able to find a viable venue in which to host Festival Latino. For funding purposes, MHA is currently searching for a venue in the Jackson area. If you have ideas/suggestions or would like to offer a venue, please contact us. 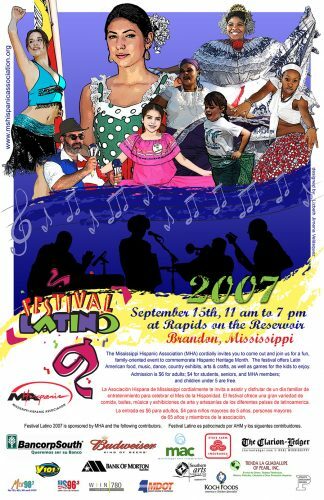 The Festival Latino began as the sole cultural event to commemorate “Hispanic Heritage Month” in the state of Mississippi. 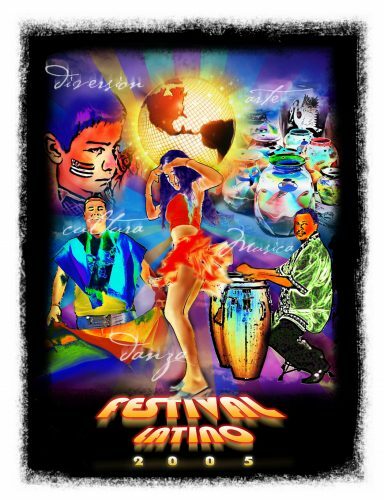 The chair of the Festival Latino is appointed by the MHA president and/or Board of Directors at the beginning of the business year. The appointed chair then organizes a committee and distributes responsibilities. 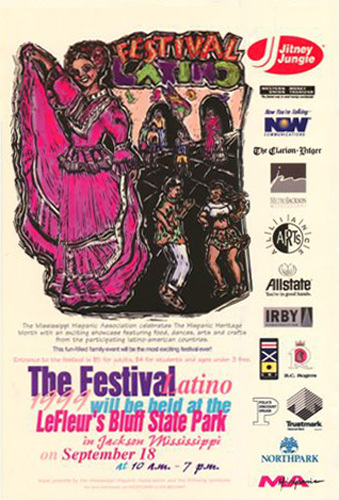 The festival is supported and sponsored by the MHA; however, additional economic support is supplemented from outside businesses, corporations and organizations, and individuals. Much of the planning and promotion of the festival is provided by in-kind contributions from the festival committee. 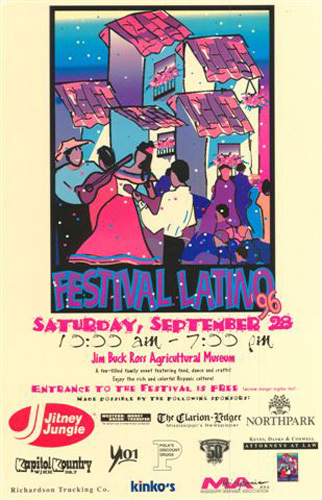 The festival typically takes place on the third Saturday in September. The festival has mostly been an outdoor event consisting of country exhibits which display a variety of arts and crafts and memorabilia. Some of these country booths may sell arts and crafts, but there are other arts and craft vendors available. 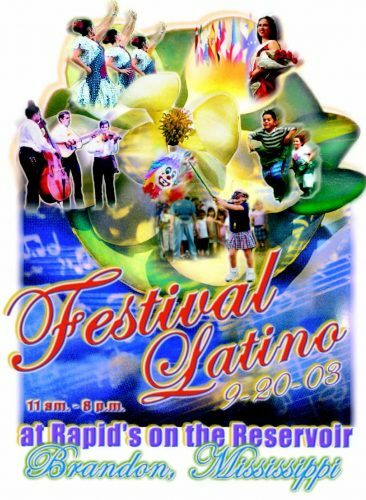 Typically, there is live entertainment in the form of a local and/or visiting band. The MHA’s Folkloric Dance Group has several performances highlighting dances from various Latin cultures. 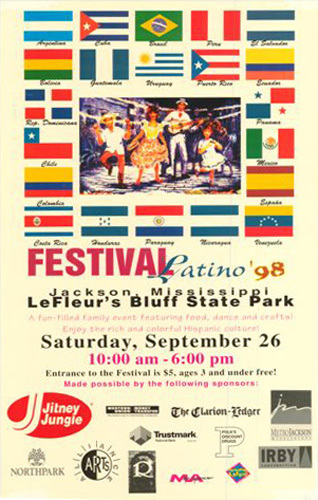 Latin food vendors from local restaurants as well as individuals are showcased. 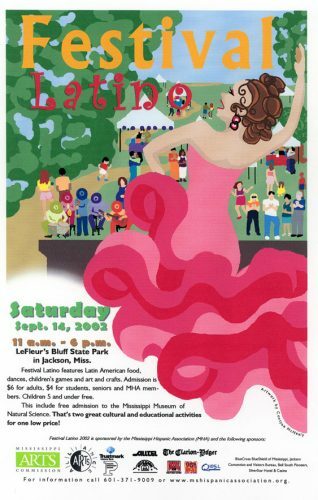 Non-profit organizations which are committed to serving the Hispanic community in the state of Mississippi are invited to participate so that they may distribute essential information. Finally, there are activities for children such as face-painting, an inflatable bounce house, piñata and other games—all free of charge. 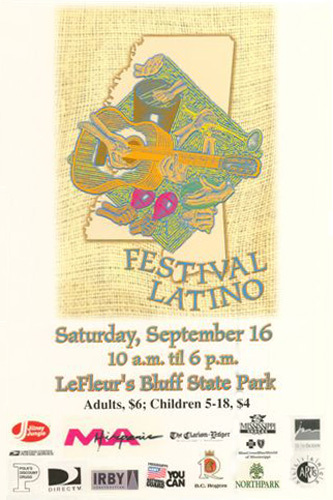 In sum, the Festival Latino is a day-long, family-oriented event for school-age children as well as adults featuring educational and enjoyable activities for all ages.